I do a lot of online projects, so I find myself using text editors and command line a lot. I’ve used Sublime Text for years, but a friend of mine recently suggested I try Brackets. And I must say I’ve been impressed with it so far. There’s a lot I like about both editors I like, but one of the things I particularly like about Brackets is the look and feel out of the box; especially the dark theme. The font I’m using for PuTTy on Windows and Terminal on MacOS is Source Code Pro which is available for free in the Brackets GitHub repository under the MIT License. 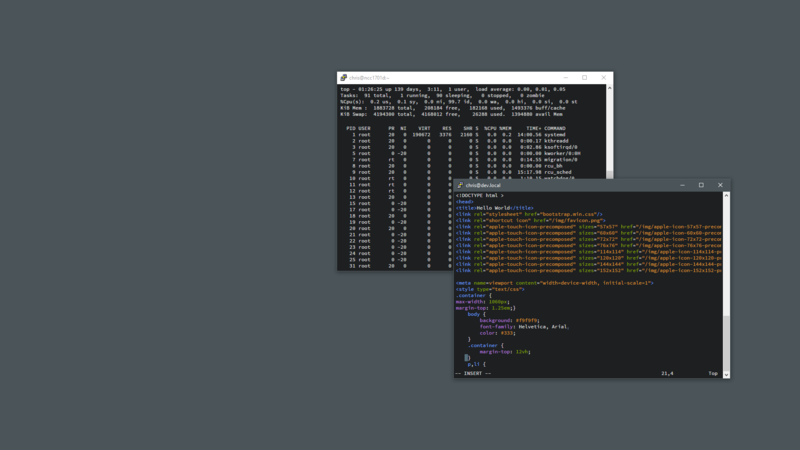 You can get this color scheme under the name “hybrid” at Terminal Color Scheme Designer. 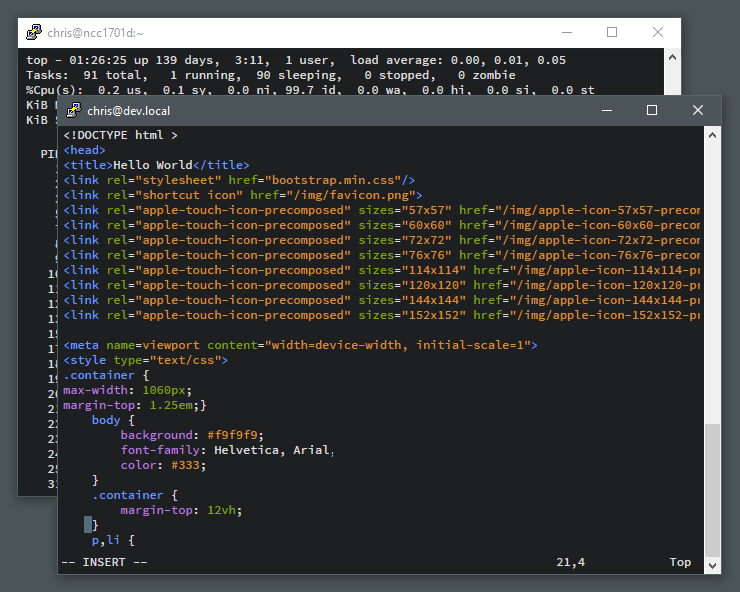 That tool has a collection of terminal color schemes and lets you easily import them into the terminal application of your choice.